Discussion in 'Forum News, Updates, & FAQs' started by MJ DeMarco, May 11, 2017.
really liked this forum and writings!! Guidelines noted MJ. I've been recommending your book to my younger cousins. Thank you for your service! 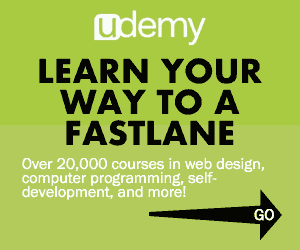 Welcome to the Fastlane Forum! As a new forum user, we'd like to acquaint you to the forum, its rules, and how to maximize your membership. REVIEWING THIS THREAD IS MANDATORY. 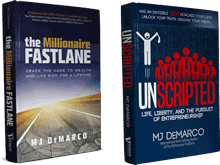 First and most important, this forum and its philosophies are predicated on the two best-selling entrepreneur books, The Millionaire Fastlane and UNSCRIPTED. For a macro-level view, view our ABOUT page. While reading these books is NOT a requirement for forum participation, reading them will help you get the most out of your Fastlane experience. Think of it like visiting a foreign country -- if you know the host language, you'll get a better experience. And even better, if you're an aspiring entrepreneur, both books were written to change your life. I've Read The Millionaire Fastlane. A common question first asked at the forum is "Where do I start??" Well, after you read the books, read the BEST THREADS of the forum, the GOLD and NOTABLE threads. Pick out the ones that align with your focus, or read them all. This is a close knit community free from the SCRIPTED gulag of cultural mediocrity. Please tell us your story. The more the better. A simple "Hello great to be here" (while nice) is generally ignored by the community. We want to hear where you've been, and where you're going. #4: NO GURU BS PLEASE! Do a forum search function to make sure your topic hasn't already been discussed. More than likely, it already has. Here are some common questions that have been answered a GAZILLION times. While the forum search function is adequate, usually the GOOGLE search box does a better job. If you're here to promote something, place a marketplace ad. Otherwise, you will be banned. Here are some behaviors that will result in your Fastlane experience being short-lived. Solicit for investors or partners. Post backlink spam in your profile without any introduction. Be a deceptive advocate -- take part in a discussion about a company/product/service as if you are an innocent bystander when in fact, you are employed or financially invested in the product/service. Be a troll -- this is a business forum that promotes PERSONAL RESPONSIBILITY and a GROWTH MINDSET. If you are a part of the SCRIPTED mediocrity and victim mob, you aren't going to last here. In other words, this is our "safe space" from the idiocy of safe spaces. Discuss religion or post political threads. While we graze political discussions occasionally, it's usually because they advocate SCRIPTED victimology, virtuous mediocrity, and anti-business themes. If any forum user peaks your interest, follow them by clicking their USERNAME and then clicking FOLLOW. Their posts will show in your newsfeed. Nice intro. Thanks for the welcome to the forum! I understand and accept this rules. It's great to be on this forum and learn from this community. I like each and every condition which you have discussed but as I am new on this forum and I will try my level best to follow all the rules. MJ DeMarco and RazorCut like this. Great intro and thanks for making this thread mandatory! "Fortune,they say, favours, the audacious." I intend to boldly execute this set of instruction and align myself with the opportunities and result-oriented mindsets that this forum presents. Since th to-do-list is muchin this forum, it is important,from time to time, for the admin to signpost where I err,rather than assume the occurence of some intentional misdeed. I look forward to availing myself of this useful forum. Nice meeting you folks.Let's enjoy the ride together. Thanks for optimizing the usefulness of this website or forum. I really like the Most Liked option. Thank you for letting me in! Ready to go Fast in the Fastlane. There's already lots of gold nuggets in this forum and the first basic requirement should be for them to go through them. I read the millionaire fastlane about two years ago. It blew my mind. I'm glad I finally joined the forum! Sidney_781 and MJ DeMarco like this. Its nice to be in touch with knowledge in order to expand our mind.